Adding an outdoor space transforms your home and provides a beautiful environment for hosting family and friends. Our team are experts in deck design and construction. With over 30 years in the business, our knowledgeable Deck Creations staff is able to help you add the perfect outdoor space for your property. All our services and additions offer a great selling point if you decide to put your house on the market. Buyers will love the idea of enjoying the outdoors. Deck Creations is an experienced deck builder, and we have the expertise to help you find the right material for your project. The right materials add distinction to your property and can reflect your personal preferences. Our team of experts help you select the right product for your style and budget. There are several types of materials available, including pressure treated lumber, Cedar, Trex, and composite. During our design process, we will walk you through the options and assist you in making the decision best suited to your needs. Whether you are adding a deck for an outdoor eating area or a new pool, we’re ready to help. A sunroom offers the enjoyment of outdoor living with the comfort of being indoors, especially during a rain or snow storm! At Deck Creations, we utilized quality materials and decades of experience to design the perfect space for your style, needs, and budget. A sunroom is a very flexible space which our customers use as a family room, playroom for the children/grand children, reading room, dining room, or for entertaining guests. A sunroom offers a climate controlled, energy efficient year-round living space. Whether an open or screened design, a porch offers an affordable way to extend your living place into the outdoors for relaxing, enjoying a glass of lemonade, or painting. A screened porch offers a perfect experience for anyone looking to directly avoid the elements and pesky bugs. An open porch offers the flexibility to tailor the space to meet your exact needs. With the open design, the space is perfect for adding an outdoor grill, stone fireplace, and direct access to the pool. An open porch can also replace an existing deck, making the transition to the new space easier to visualize during planning. A pergola or arbor adds a unique element of style to your outdoor project. Whether designed with a modern flare or to provide showcase a distinctly southern charm, Deck Creations can design the pergola or arbor to match your vision. These additions are perfect for covering walkways, terraces, or pools. Some customers add the design element to complement their deck, showcase a garage door, or to provide shade to an eating area. Pergolas and arbors are extremely versatile structures to accent your home. Whether you have a new deck to stain, an outdoor space requiring a good cleaning, or damage to repair, Deck Creations is here to help. The Law of Entropy states that everything will always trend toward disorder. So we know that even the most well-built decks and patios eventually need cleaning or repair. When your outdoors spaces inevitably need some TLC, you can trust Deck Creations to turn chaos back into order. 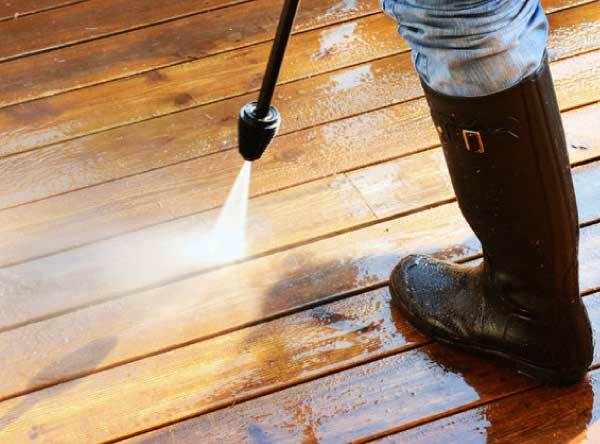 Our pressure washing services help to remove dirt, rust, mildew and other unsightly stains from your deck. We offer an environmentally friendly washing solution specially formulated to clean your deck or outdoor space. Because this approach does not utilize harsh detergents, we avoid the potentially damaging effects of pressure washing, both on your deck, your family and the environment. 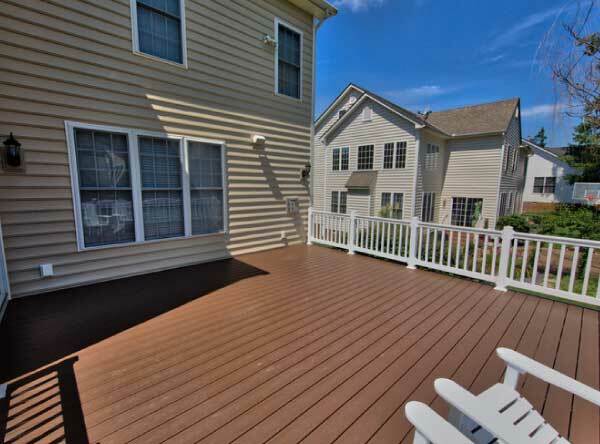 We not only know how to build a beautiful deck, but we know how to maintain them too. At Deck Creations, we understand that enjoying your outdoor space means it will be regularly used. Over time, whether through normal use or the result of an accident, maintenance may be required. Our team of skilled craftsman can help bring your deck or patio back to life. Give us a call and see how we can help. At Deck Creations, our desire is to create outdoor environments everyone can enjoy. Not everyone can easily climb steps to your residence or business or navigate tricky outdoor walkways. Our design team is here to you carefully plan a layout to add a wheel chair ramp or construct an entryway that is sturdy and safe for all visitors. Our skilled craftsman can help you add an ADA-compliant access point with the necessary handrails and ramp to visiting your home or business as easy and convenient as possible.